A woman moves to a London suburb near the River Lea, without knowing quite why or for how long. 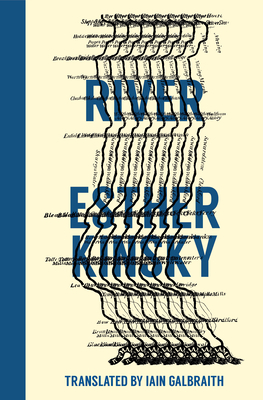 Over a series of long, solitary walks she reminisces about the rivers she has encountered during her life, from the Rhine, her childhood river, to the Saint Lawrence, and a stream in Tel Aviv. Filled with poignancy and poetic observation, River is an ode to nature, edgelands, and the transience of all things human. Iain Galbraith is a widely published translator of German into English. He has translated W. G. Sebald and Jan Wagner, notably. He won the John Dryden Prize for Literary Translation in 2004.